Welcome to the second installment of Frequently Asked Interview Questions and How To Answer Them. If you have not read Part I, please go back and review that article before moving on to this one. As you now know, it is extremely important to go into an interview prepared. Having an idea of what questions will likely be thrown at you and knowing what you would say in response is the most effective way of presenting your best self. It’s totally normal to have nerves and to stumble over your words when you are trying to convince another person that they should hire you. What you don’t want is to stumble over a whole lot of gibberish. Preparation will feed your confidence, which will ultimately make for a much smoother conversation. 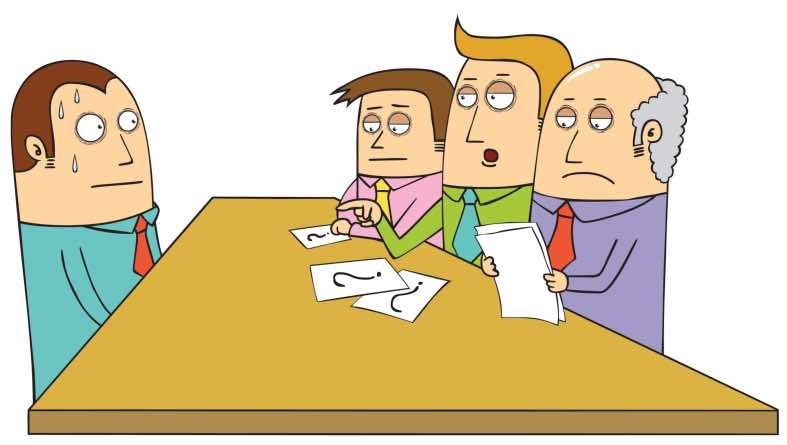 Here are 5 more of the most common learnership interview questions and how to answer them. 1. What do you know about this company? This question goes hand-in-hand with “Why are you interested in this learnership?” but you may still hear both. One of the biggest mistakes prospective employees make is not doing their research about the company they are interviewing with. They get so caught up in how they are going to present themselves that they forget that the job is much bigger than them as an individual. Don’t be that person. Yes, you want to prove your value but keep in mind that you are trying to join a team – you won’t be flying solo and it isn’t just about you. That said, learning as much as you can about the company is just as important as brushing up your resume and getting referrals. Research indicates that you recognize and care about the company’s objective and that you didn’t just apply because you need a job. Take a look at their website, jot down keywords and phrases that speak to the company’s goals and explain how and why they fit into your learnership agenda. This is a harmless question that may be asked out of sheer curiosity, or to determine which job opening promotion is working best. Regardless, you can answer it in a way that can benefit your interview. Whether you heard about it through a career advisor, in the newspaper, online, or through some other medium, make a point to share what details stood out to you and made you want to apply. If you heard from a person who has connections within the company, you should absolutely use that to your advantage by name dropping. However, if you name drop, be sure to explain what about the position is exciting to you so it doesn’t come off like you are just there because of your network. No, not “to get this job.” Because this is a learnership interview and not a candidacy for a bigger, more-specific and permanent role within the company, it is OK to talk about your goals in the short- and long-term. Interviewers like to know that you have ideas and plans and that you are growth-oriented. Short-term goal talking points: skills you hope to acquire, software/programs you want to learn how to use, department-specific tasks that you want to get involved in, etc. Long-term goal talking points: the type of full-time position you hope to get after graduating university, your desire to work for a company [such as the one you are interviewing with] that is growing, level of schooling you want to achieve, certifications you want to earn, etc. 4. How would your previous employer and co-workers describe you? They aren’t looking for you to list off a bunch of your strengths here; it’s more-so a way for them to gauge the way you respond. Will she be transparent? Will she be nervous? Will she take it as an opportunity to go overboard and talk herself up? You can be semi-generic here, discussing how you are deadline-driven, a good public speaker, helpful when your workload is light… you get the idea. Just be sure to back them up with examples. Or, you can get official and take the words of your boss from your most recent performance review. Remember, the hiring manager may call your previous employer(s) and referrals if they choose to move forward with you, so be truthful and keep it short! 5. What’s your greatest professional achievement? The point here is to show the hiring manager that you have the skills, potential, and qualities that the company values. Choose an accomplishment that speaks to the role you are applying for or the objective of the company as a whole. Describe the task you were assigned, what actions you took to complete it, and what the impressive end result was. Did you find a way to save your company money? Did you complete a task in a fraction of the time that was expected? Were your outcomes far superior to previous years? Say so, and be sure to show that you are passionate about what you achieved! Interview questions may be a bit of a challenge to answer if you are interviewing for your first learnership, so you may choose to counter with your greatest academic achievement. Throughout your interview, remind yourself to focus on the company’s needs instead of your own. Work on tailoring your answers to the company while speaking highly of yourself! You are trying to sell yourself, but you want them to know that you care for the company’s initiatives and would be the perfect fit! Stay tuned for Part 3 of the Frequently Asked Questions and How To Answer them series!